14 Mar 2017. International drug maker Allergan is gaining access to treatments for inherited eye diseases being developed by Editas Medicine, a spin-off enterprise from MIT and Harvard. The deal brings Editas Medicine $90 million immediately, with more payments later on if Allergan decides to license and commercialize Editas’s technologies. Editas Medicine was founded in 2013 in Cambridge, Massachusetts by geneticist Feng Zhang and colleagues from Broad Institute, a medical research center affiliated with Harvard University and MIT, to commercialize research from their labs on genome editing known as Crispr, short for clustered regularly interspaced short palindromic repeats. Crispr is based on bacterial defense mechanisms that use ribonucleic acid or RNA to identify and monitor precise locations in DNA. The actual editing is done by proteins such as Cas9 or Cpf1. Much of Editas Medicine’s current development is in inherited eye diseases, with the company’s lead program addressing Leber congenital amaurosis, an inherited disorder that results from mutations in at least 14 genes. The disease affects infants, occurring in 2 to 3 in 100,000 newborns, but is still considered one of the more common causes of blindness in children. Leber congenital amaurosis primarily affects the retina. causing severe visual impairment beginning in infancy. The agreement gives Allergan, headquartered in Dublin, Ireland, an option to license Editas Medicine’s Crispr technology for Leber congenital amaurosis, now in preclinical testing. An option gives a licensing prospect an opportunity to review and decide whether to license a technology, usually for a fixed period of time. This deal also gives Allergan an option to license up to four other genome-editing treatments for eye disorders in development by Editas. Under the agreement Allergan pays Editas Medicine an initial fee of $90 million for the option to license the 5 Crispr treatments. Should Allergan decide to license the technologies, it would be responsible for their subsequent product development and commercialization. However, Editas may co-develop and promote up to 2 of the programs being optioned. For each treatment licensed by Allergan, Editas will receive unspecified development and commercialization milestone payments, including near-term milestones for Leber congenital amaurosis. As reported by Science & Enterprise, Editas Medicine benefited from an important legal case in February, when a panel of administrative patent judges ruled Broad Institute’s Crispr technology does not interfere with techniques for genome editing created by University of California at Berkeley. 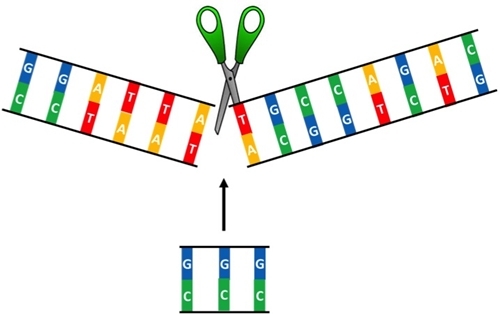 Editas licenses its Crispr technology from Broad Institute.